MyBusiness Form Kits, for contractors, HVAC, Plumbing, Electrical, Landscaping, Pool Installation, Asphalt & Concrete, Painting, Kitchen Cleaning, Cleaning Services. Basic business forms developed for Paving business owners, contractors, subcontractors and new business start-ups. 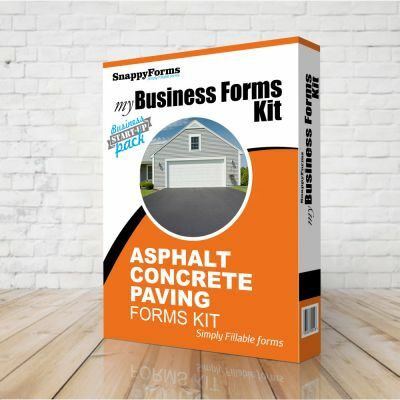 Product Information: Our do-it-yourself, start-up, forms kits come bundled with 14 ready-made, essential, industry standard paving business form templates to quickly and expertly complete, bids/proposals, job orders, change orders, agreements, home improvement contracts, and more. Forms allow a smooth project transaction, avoiding legal woes and customer misunderstandings from project start to completion. Each kit is now bundled with Word and Interactive PDF forms. Basic business forms developed for Flooring, Carpeting business owners, contractors, subcontractors and new business start-ups. 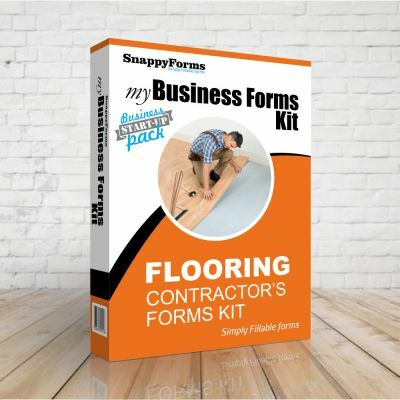 Product Information: Our do-it-yourself, start-up, fillable forms kits come bundled with 14 ready-made, essential, industry standard flooring business form templates to quickly and expertly complete, bids/proposals, job orders, change orders, agreements, home improvement contracts, and more. Forms allow a smooth project transaction, avoiding legal woes and customer misunderstandings from project start to completion. 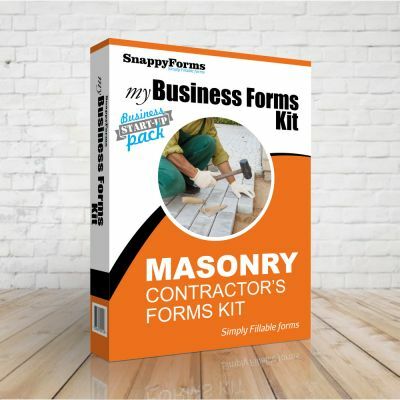 Basic business forms developed for Masonry business owners, contractors, subcontractors and new business start-ups. 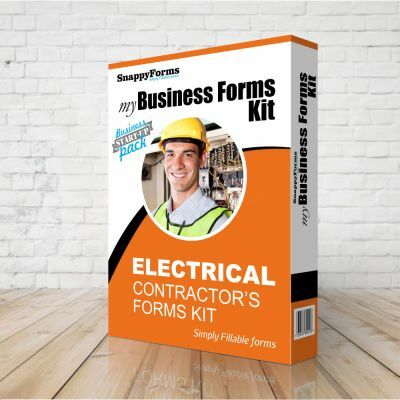 Product Information: Our do-it-yourself, start-up, fillable forms kits come bundled with 14 ready-made, essential, industry standard, masonry business form templates to quickly and expertly complete, bids/proposals, job orders, change orders, agreements, home improvement contracts, and more. Forms allow a smooth project transaction, avoiding legal woes and customer misunderstandings from project start to completion. 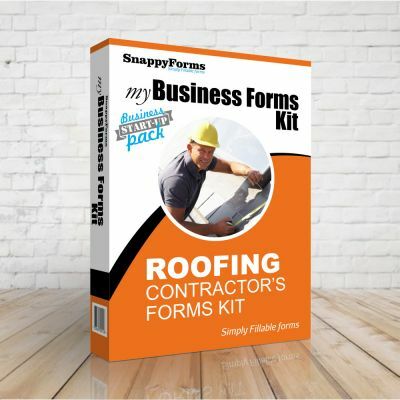 Basic business forms developed for Roofing business owners, contractors, subcontractors and new business start-ups. Product Information: Our do-it-yourself, start-up, forms kits come bundled with ready-made industry standard roofing business form templates to quickly and expertly complete, bids/proposals, job orders, change orders, agreements, home improvement contracts, and more. Forms allow a smooth project transaction, avoiding legal woes and customer misunderstandings from project start to completion. Basic business forms developed for Plumbing business owners, contractors, subcontractors and new business start-ups. 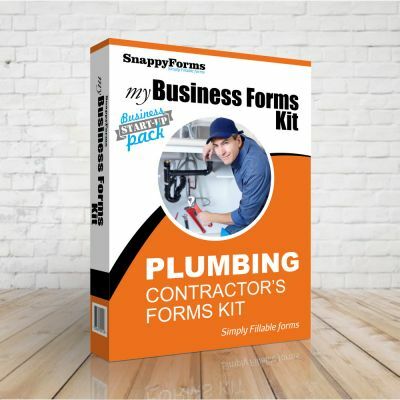 Product Information: Our do-it-yourself, start-up, forms kits come bundled with ready-made industry standard plumbing business form templates to quickly and expertly complete, bids/proposals, job orders, change orders, agreements, home improvement contracts, and more. Forms allow a smooth project transaction, avoiding legal woes and customer misunderstandings from project start to completion. 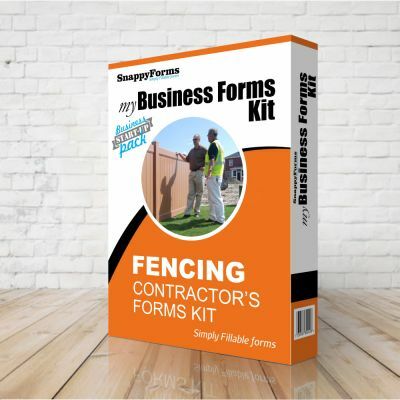 Basic business forms developed for Fencing & Gating business owners, contractors, subcontractors and new business start-ups. Product Information: Our do-it-yourself, start-up, fillable forms kits come bundled with 14 ready-made, essential, industry standard fencing business form templates to quickly and expertly complete, bids/proposals, job orders, change orders, agreements, home improvement contracts, and more. Forms allow a smooth project transaction, avoiding legal woes and customer misunderstandings from project start to completion. 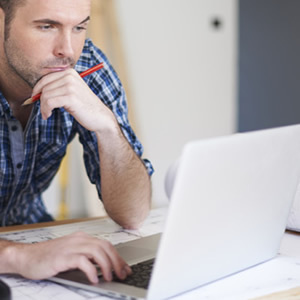 Basic business forms developed for Remodeling business owners, contractors, subcontractors and new business start-ups. 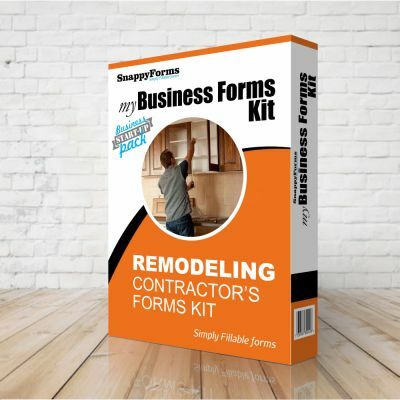 Product Information: Our do-it-yourself, start-up, forms kits come bundled with ready-made industry standard remodeling business form templates to quickly and expertly complete, bids/proposals, job orders, change orders, agreements, home improvement contracts, and more. Forms allow a smooth project transaction, avoiding legal woes and customer misunderstandings from project start to completion. Basic business forms developed for HVAC business owners, contractors, subcontractors and new business start-ups. 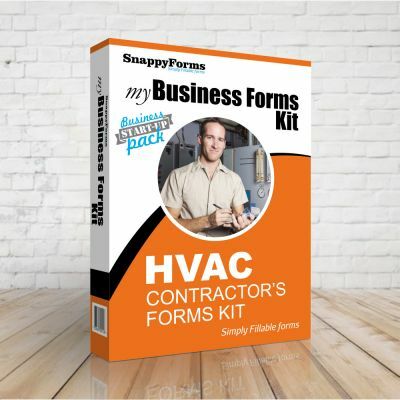 Product Information: Our do-it-yourself, start-up, forms kits come bundled with ready-made industry standard HVAC business form templates to quickly and expertly complete, bids/proposals, job orders, change orders, agreements, home improvement contracts, and more. Forms allow a smooth project transaction, avoiding legal woes and customer misunderstandings from project start to completion. Word Form: The Word forms come with two styles, a Standard Style which is good to fill out the form by hand, prepare a form for delivery to a copy or print center; the Text Box Fillable form have text boxes of pre-typed, sample text to assist you in filling out the form using a digital device, just place cursor over text box and type to fill out. Reader PDF Form: The PDF form comes bundled with 3 form styles to pick from, a contemporary or minimalistic ruling design, a traditional or classic ruling design or use the one with no ruling, have a look at the product links below to see all three styles of each form.